Of late, I've seen a plethora of unique and creative ways in which to decorate your Fall and Halloween pumpkins. There's the festive way of carving a face into the pumpkin and setting a light inside the hollowed out gourd to shine from the inside out and there is the more traditional display of letting it stand untouched on the front stoop, in a myriad of shapes and sizes. This year I was determined to try something different. Ya know, spice it up a bit! This past weekend, I sat down with my mom and my niece to decorate some pumpkins with office supplies. Yep. Super simple, inexpensive and "not messy." And if you're last minute, like we were, all of these creations can be completed in an hour or two. 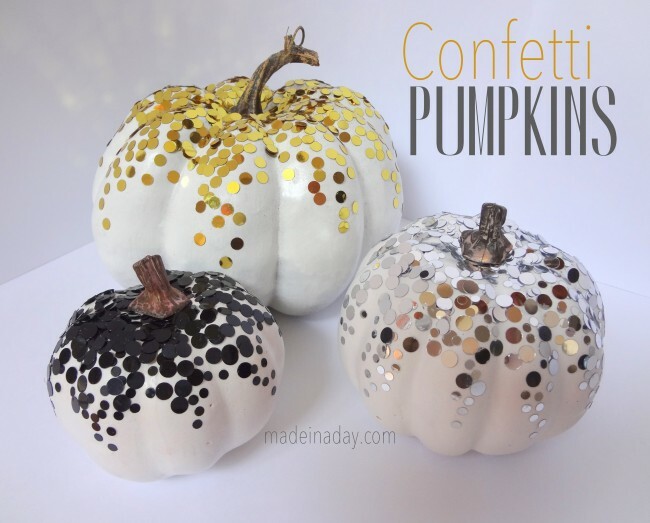 We decorated small pumpkins, but this can work with larger ones as well (you'll obviously need more supplies, but the idea is the same.) I purchased brads and push-pins from Michael's, a local craft store, in various shapes, sizes, colors and designs, which we used to decorate. All three of us, of varying ages, enjoyed the activity. Want more ideas? Check the slideshow below for other creative inspirations. Very punk! I'm storing this one for next year -- I think my nephew will love this one!